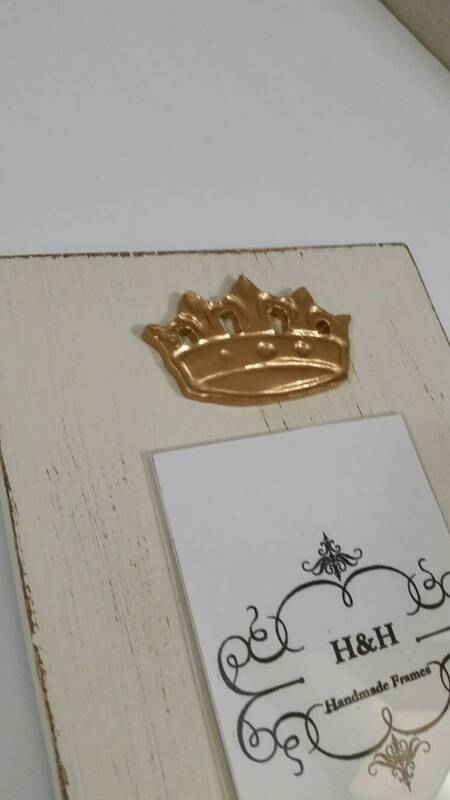 Handmade Wood Frame 4x6 Photo Painted Off White Distressed With A Gold Clay Crown - Wedding - Baby - Baptism - House Warming Gift. 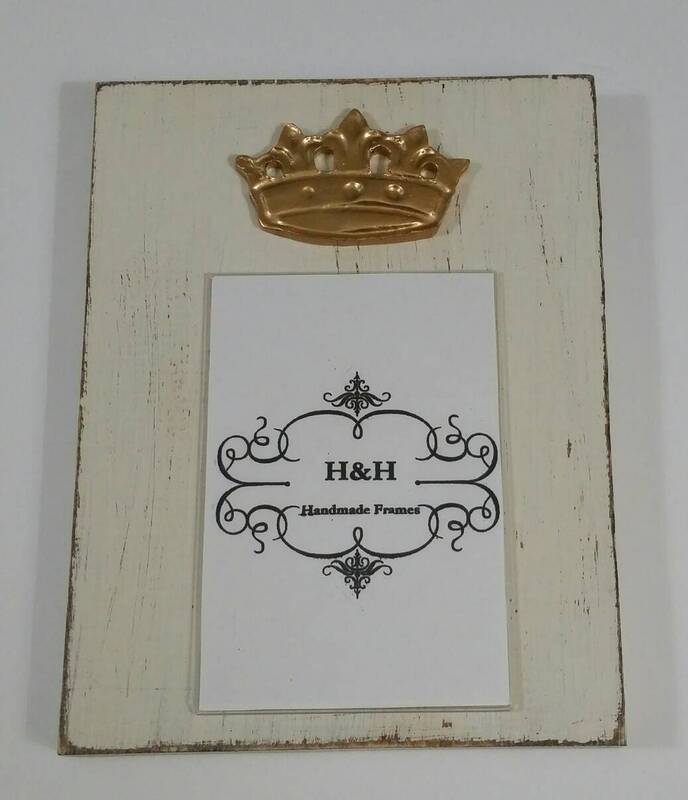 This frame is made using wood which is aged and worn into a piece to enchance your favorite photo. 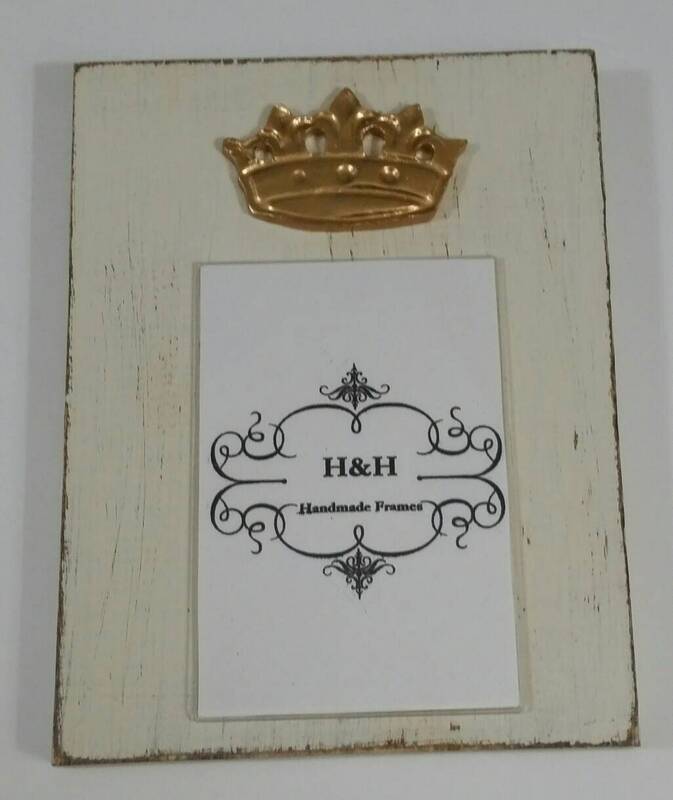 Outside frame dimensions 9"ht x 7 1/4"w and holds a 4x6 picture. 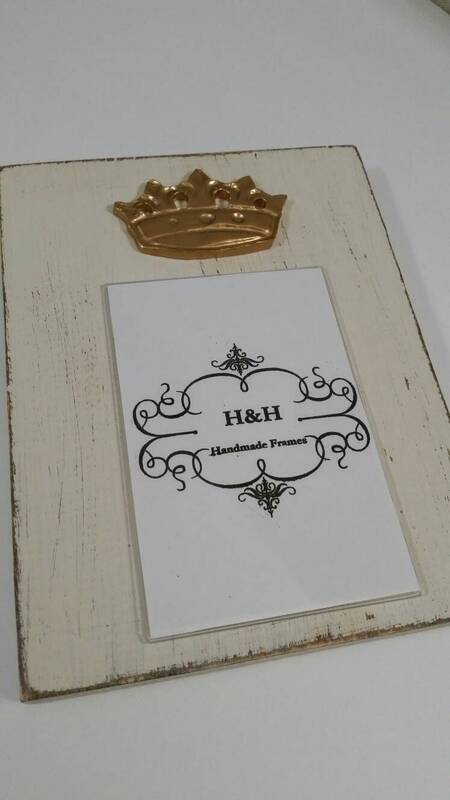 Colors - choose from Painted Off White with a distressed finish and a Gold Handmade Clay Crown at the top. 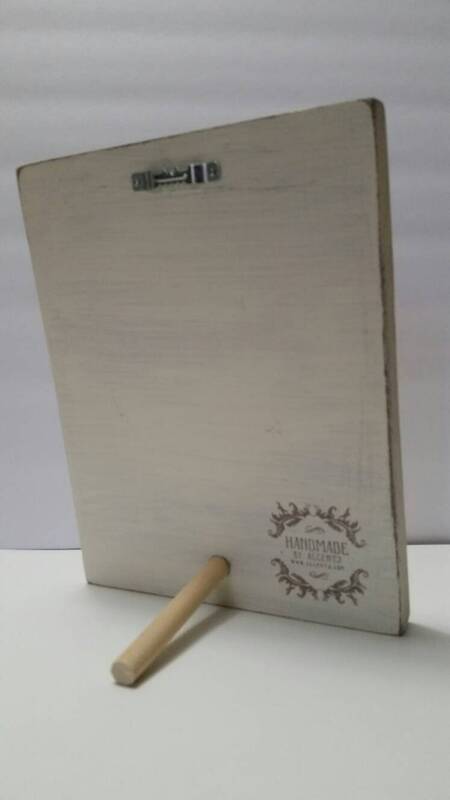 Can also make with the photo holder installed horizontal. Can be made in other colors just ask.